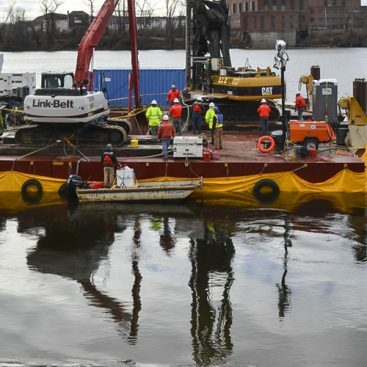 Remedial Construction: The remediation project involved the construction of 14,995 vertical square foot Soil/Cement Mix Barrier Wall to contain coal tar NAPL from potentially migrating into an adjacent river. 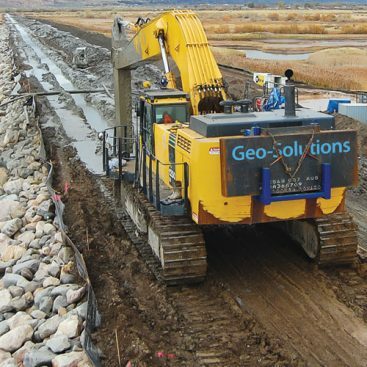 Geo-Solutions was contracted by Berkshire Gas to perform remedial construction at the site of a former Manufactured Gas Plant (MGP) located along the Green River in Greenfield, Massachusetts. 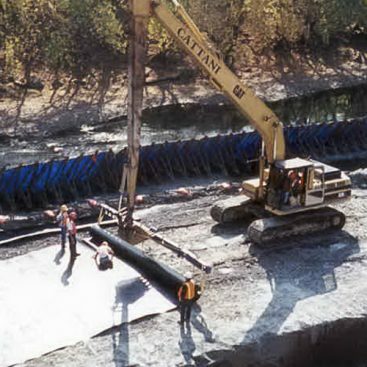 The barrier wall consists of two technical aspects; construction of the barrier wall for hydraulic containment of impacted groundwater and structural support to allow future remedial excavation of the river bank. 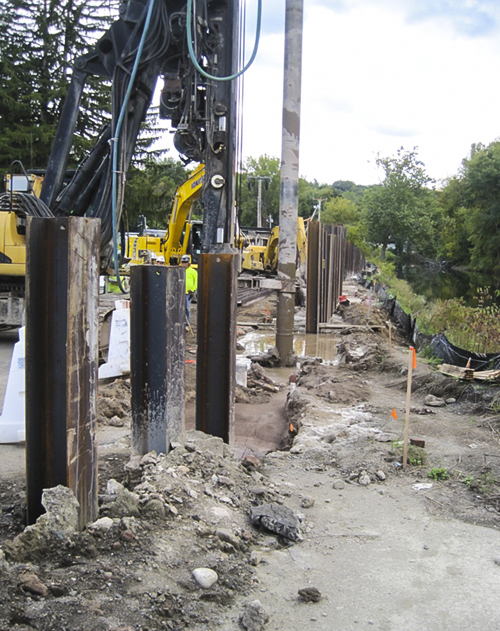 Using the single auger soil mixing method, a barrier wall was installed 658 feet long by installing 4 ½ foot diameter overlapping columns up to 32 feet bgs. 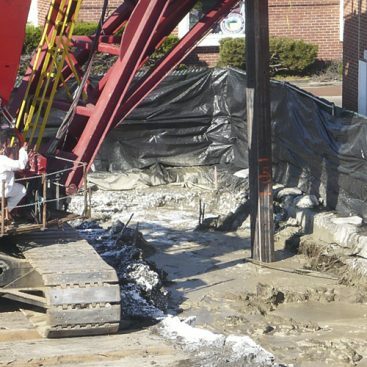 Approximately half of the wall length has steel beams vertically installed on 4 foot centers to provide structural support for future remedial excavation. In addition, a passive groundwater management system was installed to allow ground water to pass through the barrier wall. 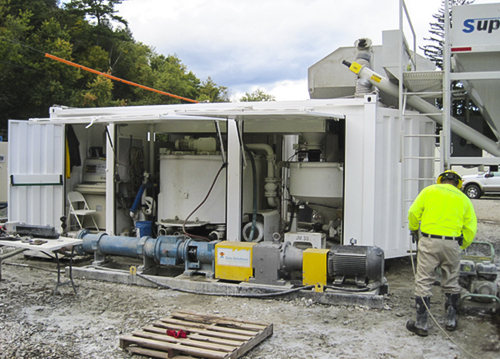 Additionally, a passive NAPL separation and recovery system was installed to prevent NAPL from passing through the passive groundwater management system.